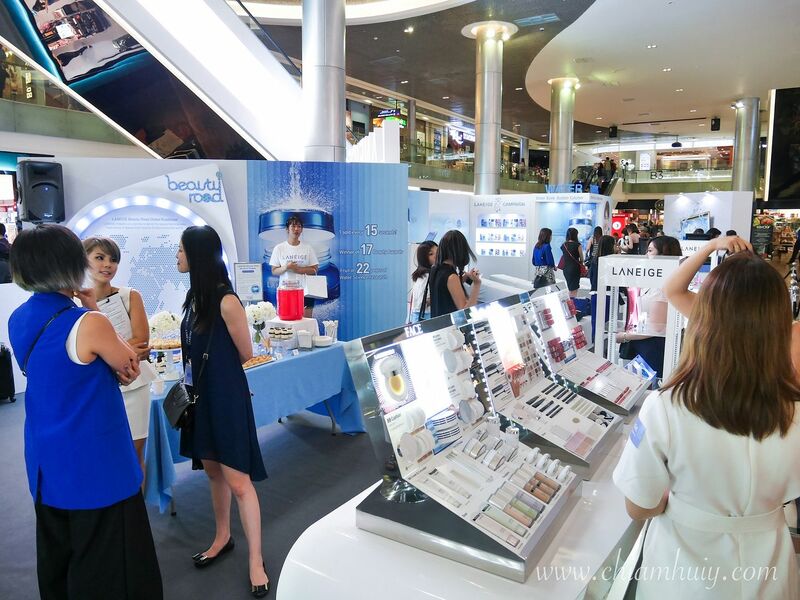 If you're around ION orchard today, drop by LANEIGE beauty road for their CSR campaign from today till 19th of May 2016! 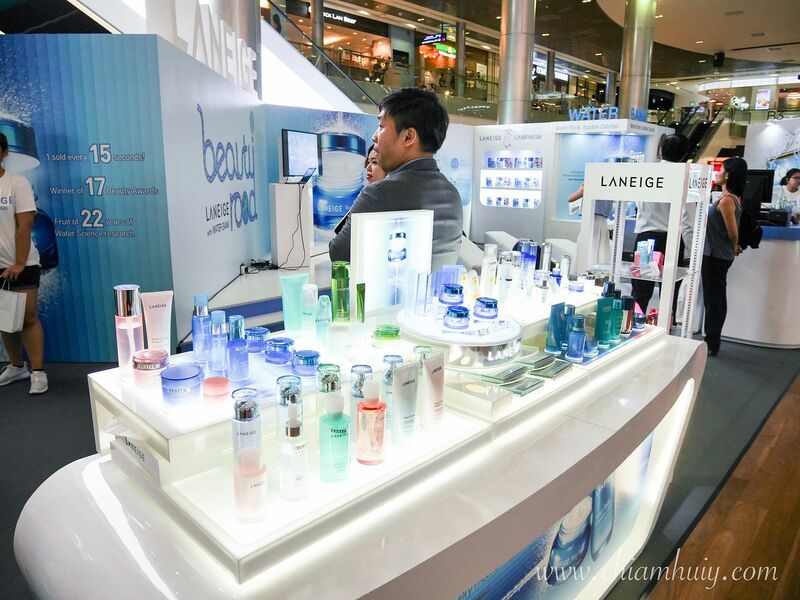 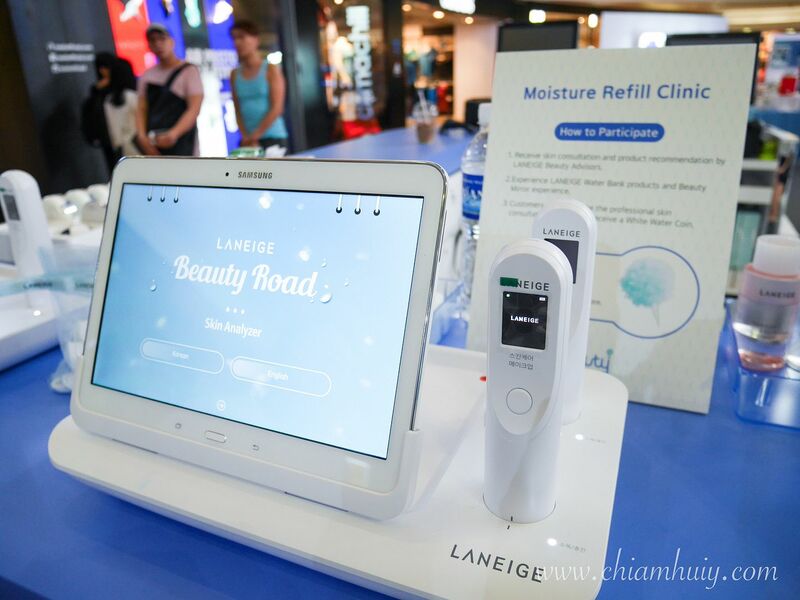 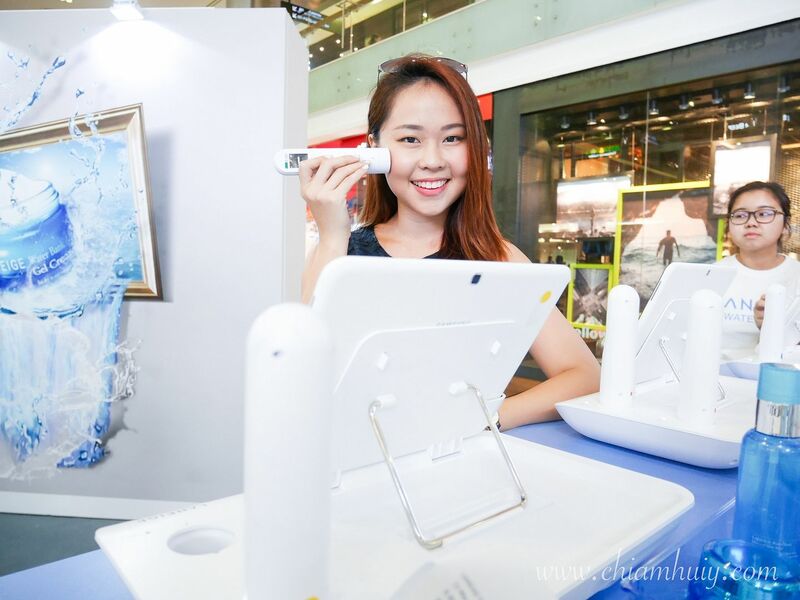 Join LANEIGE at their beauty road to enjoy all sorts of activities, win prizes and even trial kits. 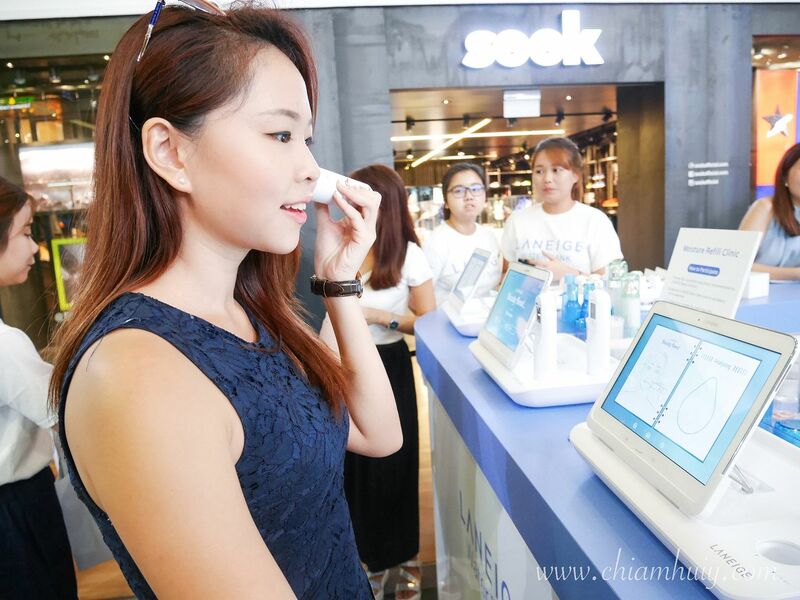 You also get to do makeover, skin analysis and catch their summer makeup collection here at their Beauty Road with Water Bank. 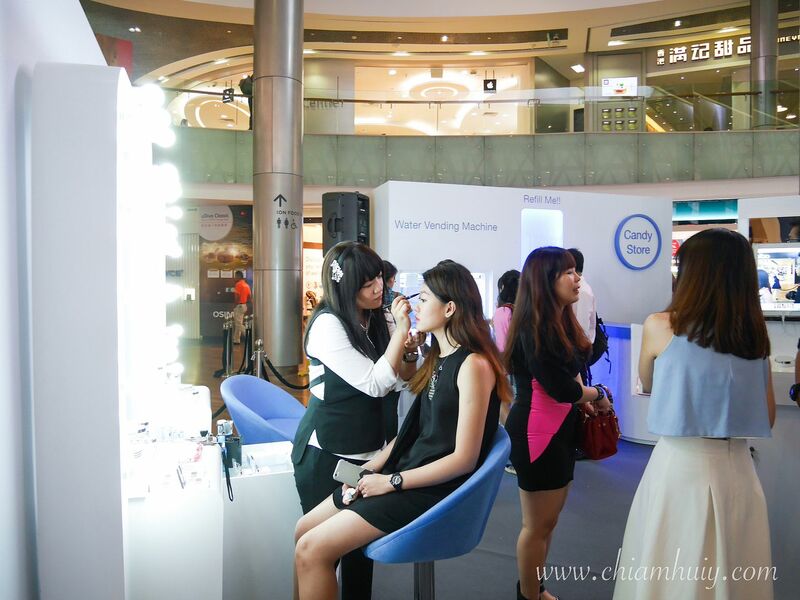 Enjoy lovely makeover by MUA from Korea. 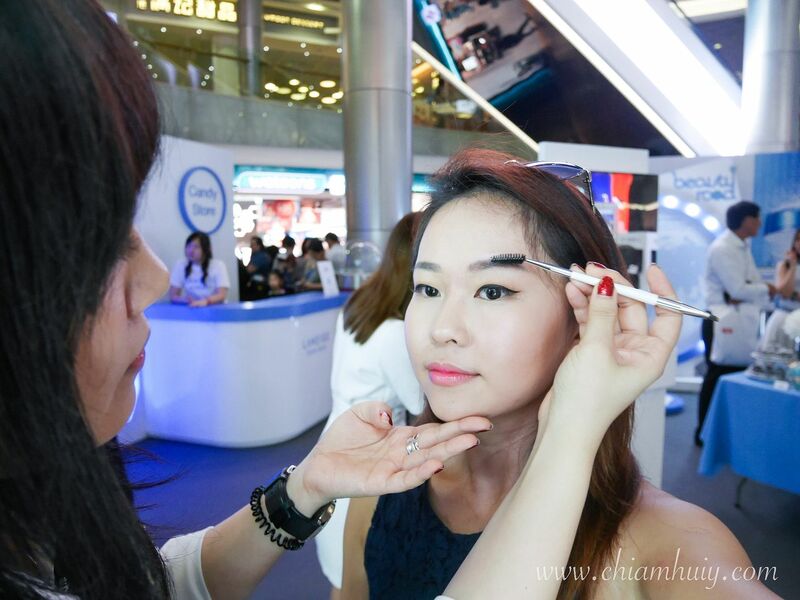 She touched up my makeup with BB cushion and also my eyebrows. 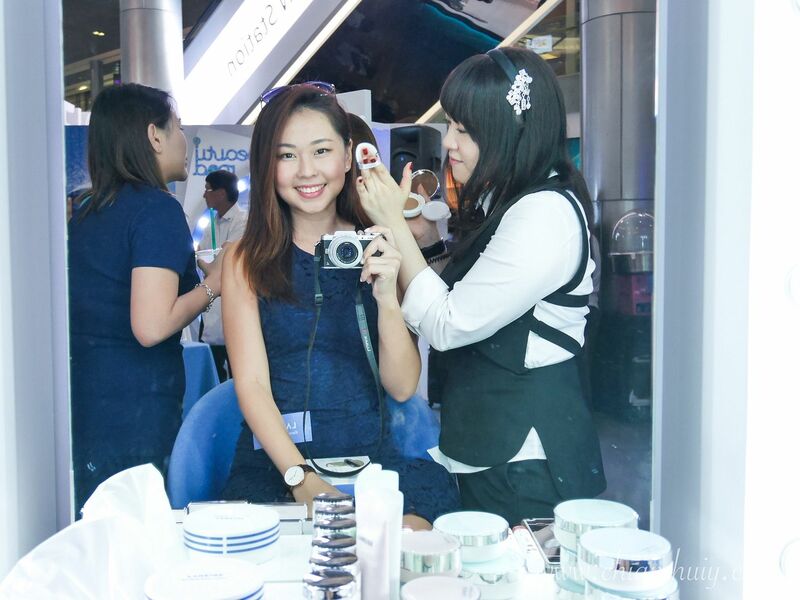 Always wanted to know how to get the K-beauty look? 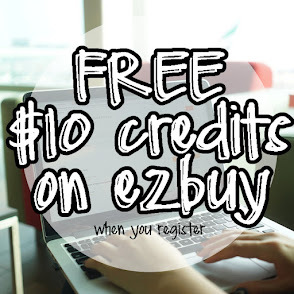 Then this is your chance! 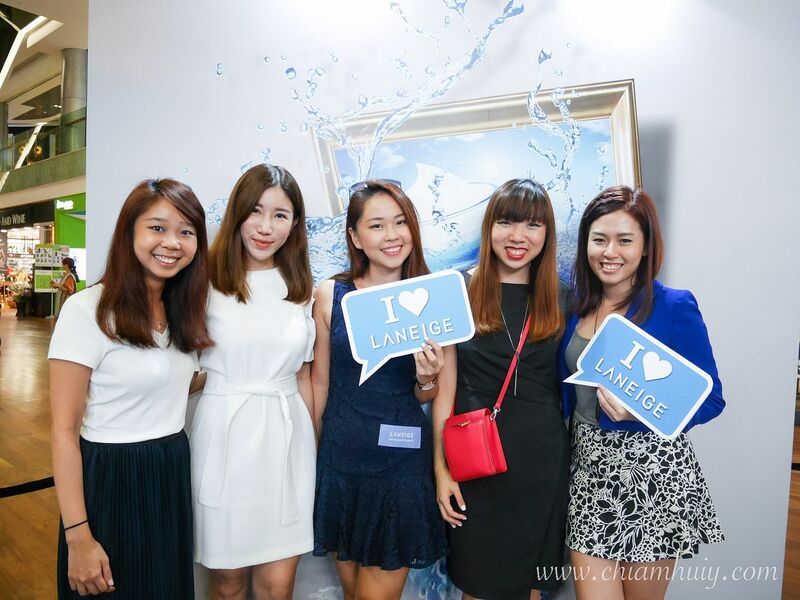 This year, LANEIGE Refill Me CSR campaign is really more about conserving water with their campaign slogan, 'refill me'. 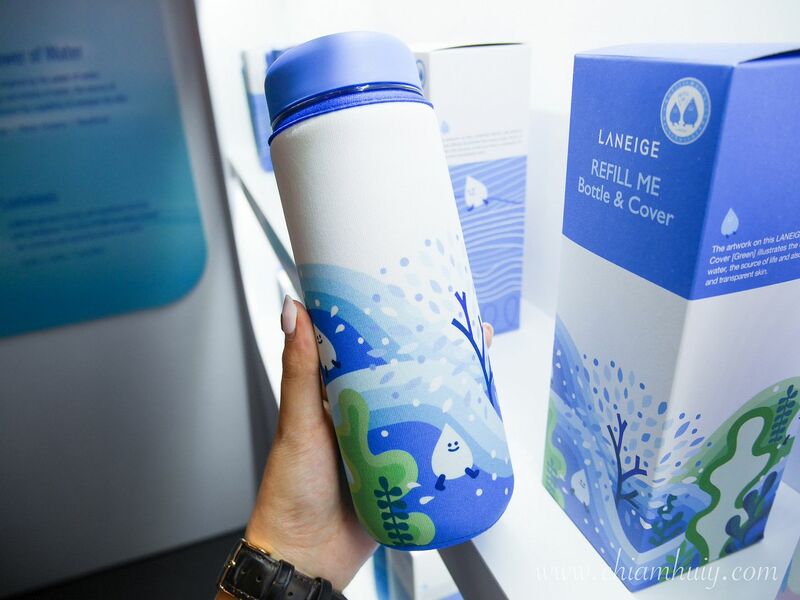 For only $8 for this 'Refill Me Bottle' (can put hot water! 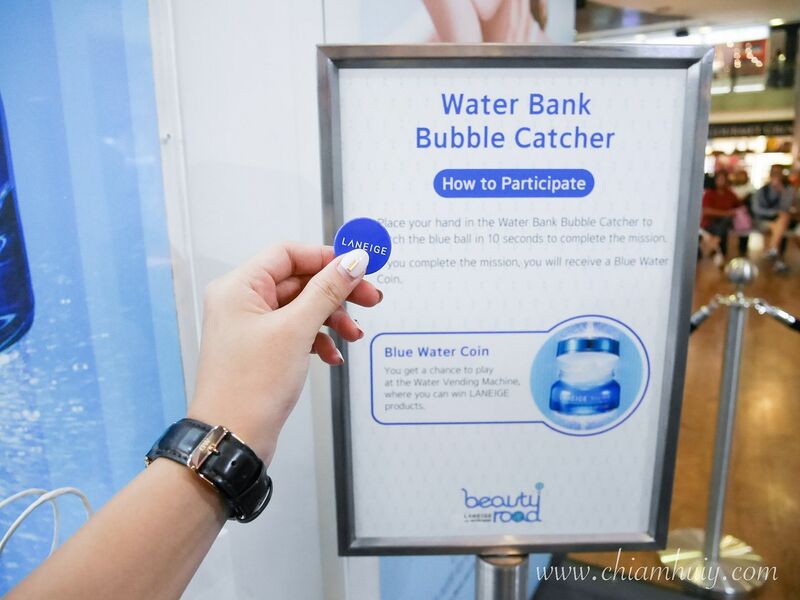 ), $2 will be donated to the charity Waterways Watch Society, to help them expand their educational work at Punggol Waterway and water conservation efforts. 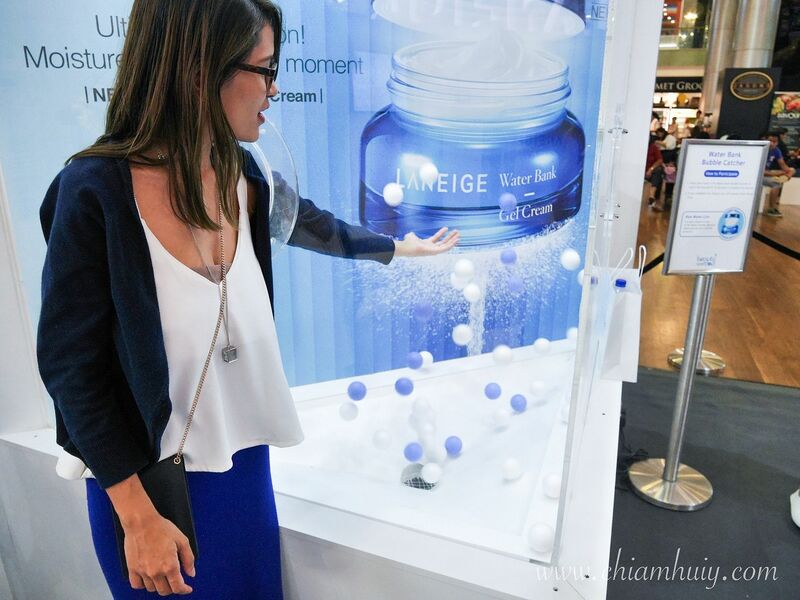 From now till 30 June 3016, you can purchase this limited edition 'Refill Me Bottle' at any LANEIGE Counters and Boutique stores. 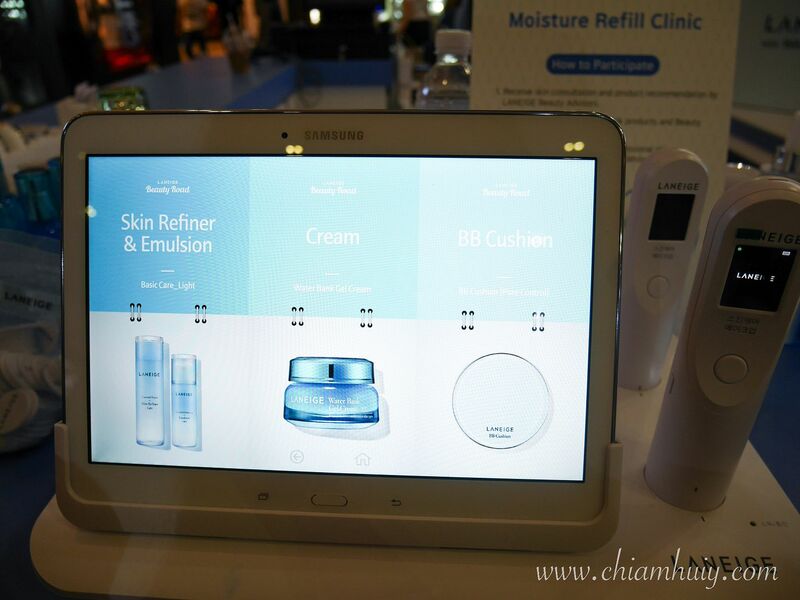 You also get to try out the skin analysis device to tell the moisture level of your skin, and what products suit you better. 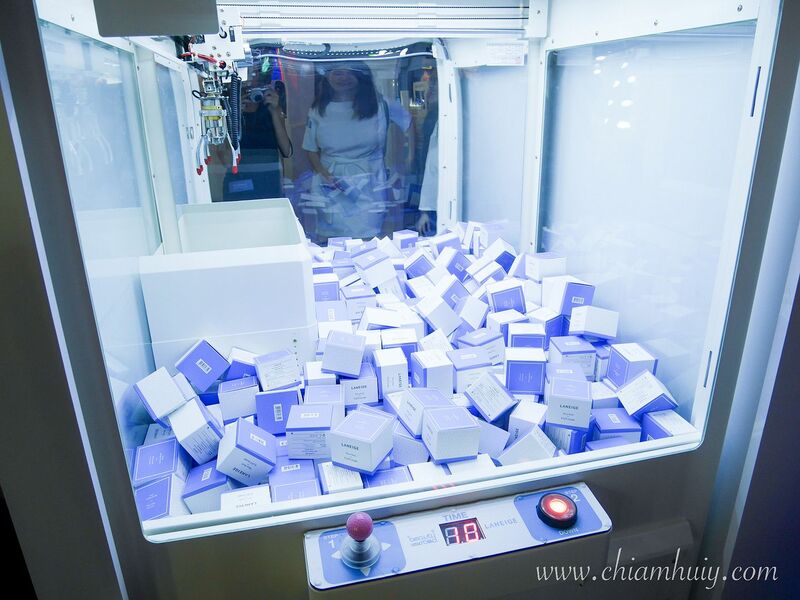 You'll get a white coin from doing this and get a complimentary candy floss! 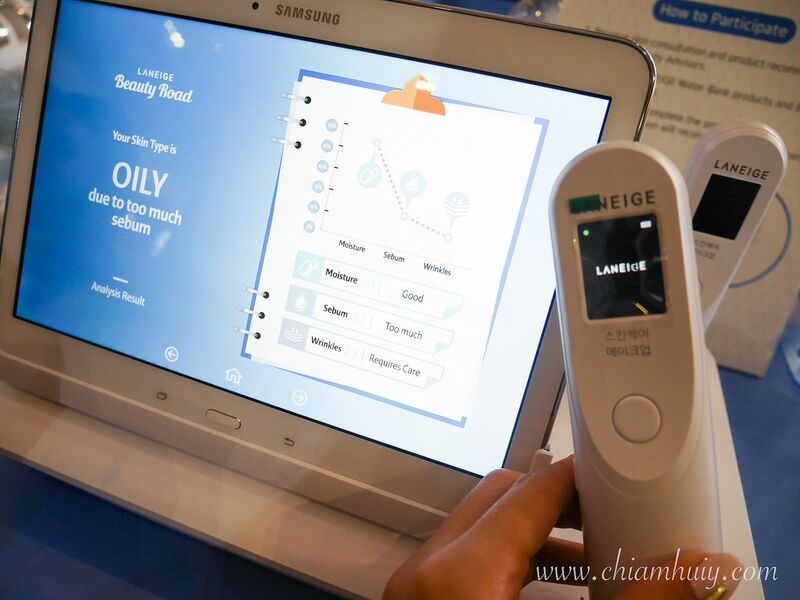 With the skin analysis result, the device is able to recommend me the products I should use as well. 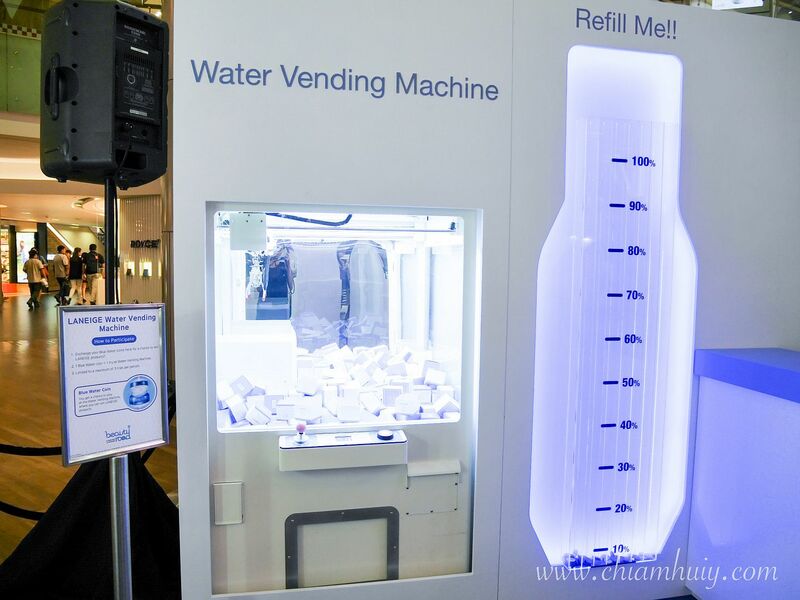 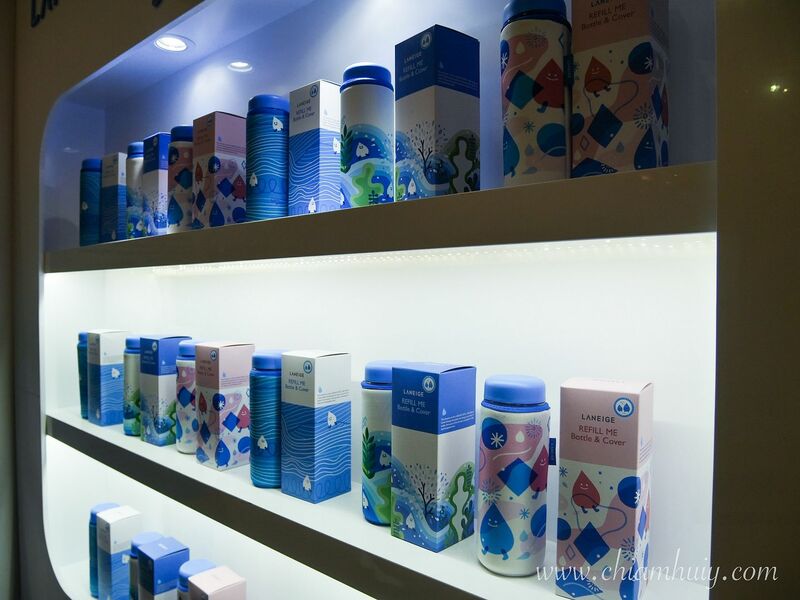 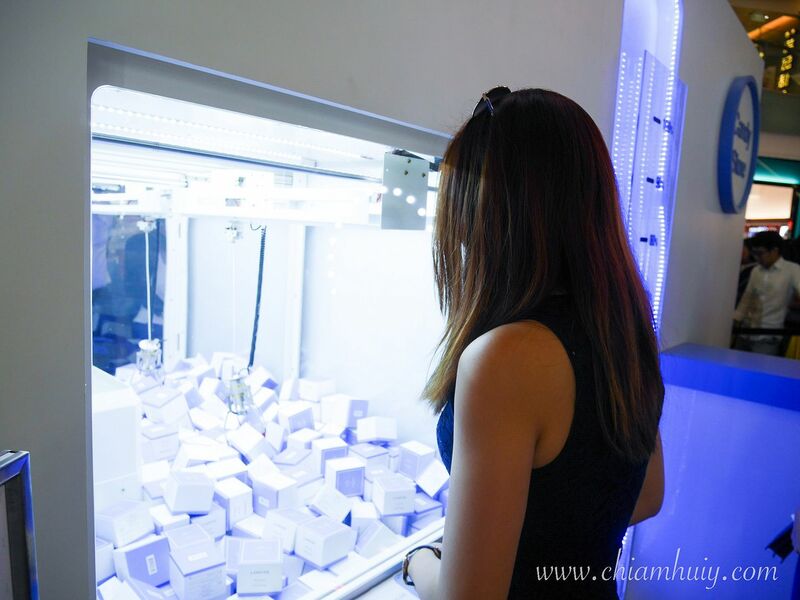 With the blue coin, you get a chance to try the Water Vending Machine, in which you can win attractive prizes. 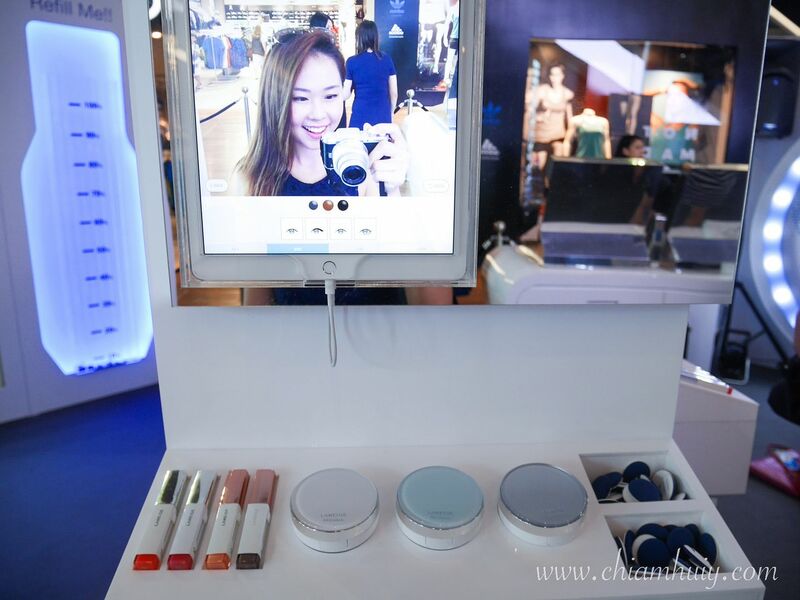 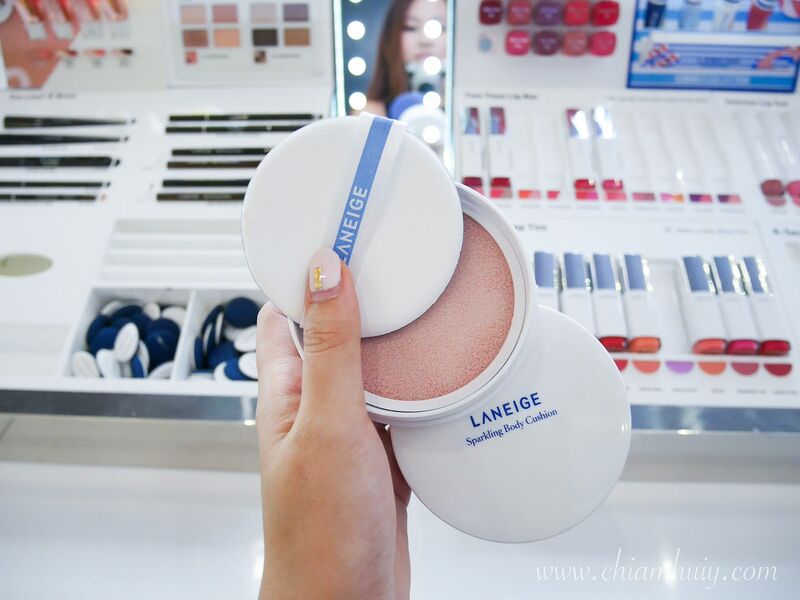 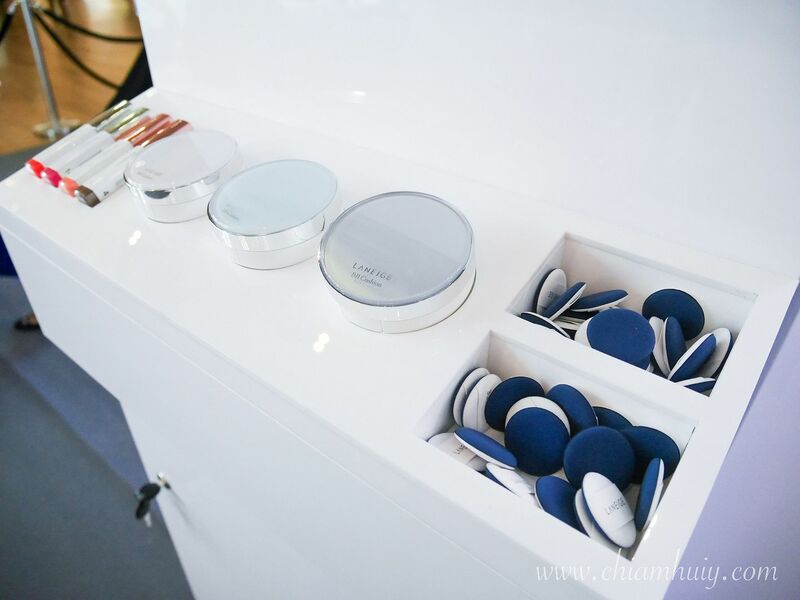 There's also the LANEIGE beauty mirror to 'try' out the different shades of lippies and bb cushion. 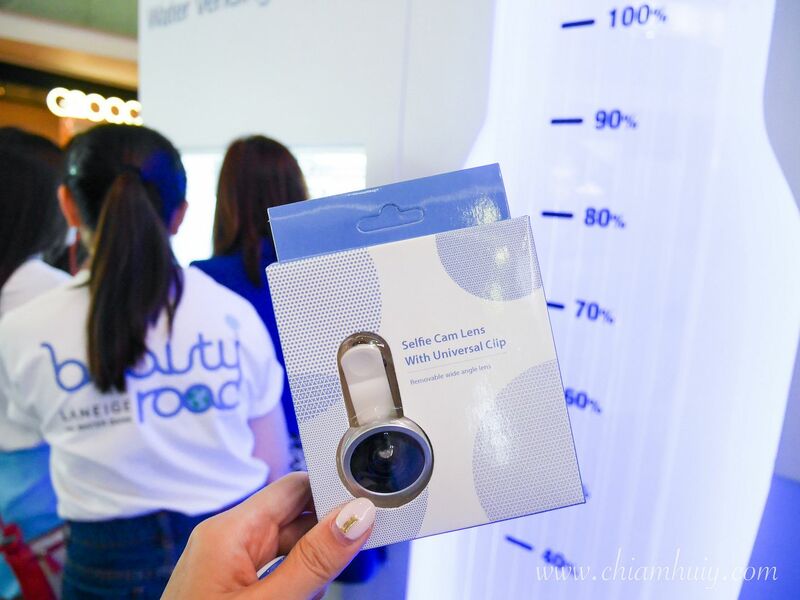 There's also the real deal right in front of you to try out! 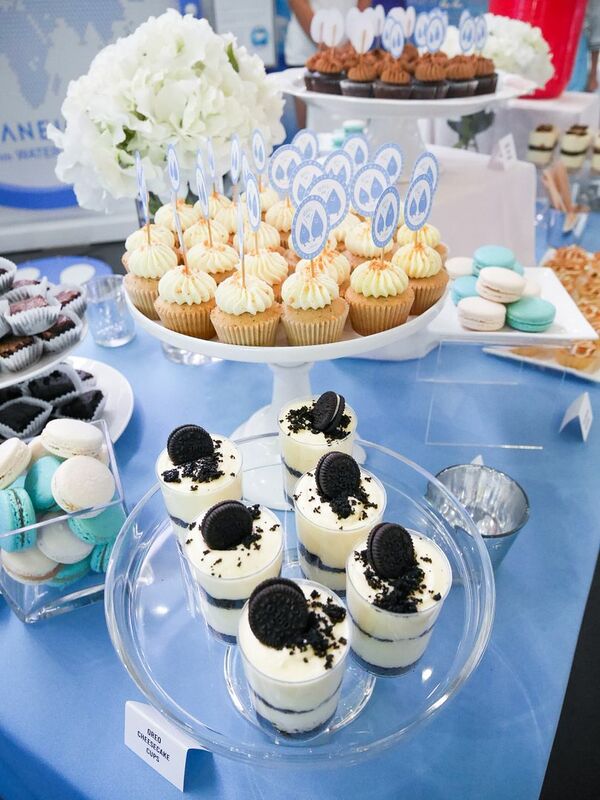 Check out those mini cushion pat! 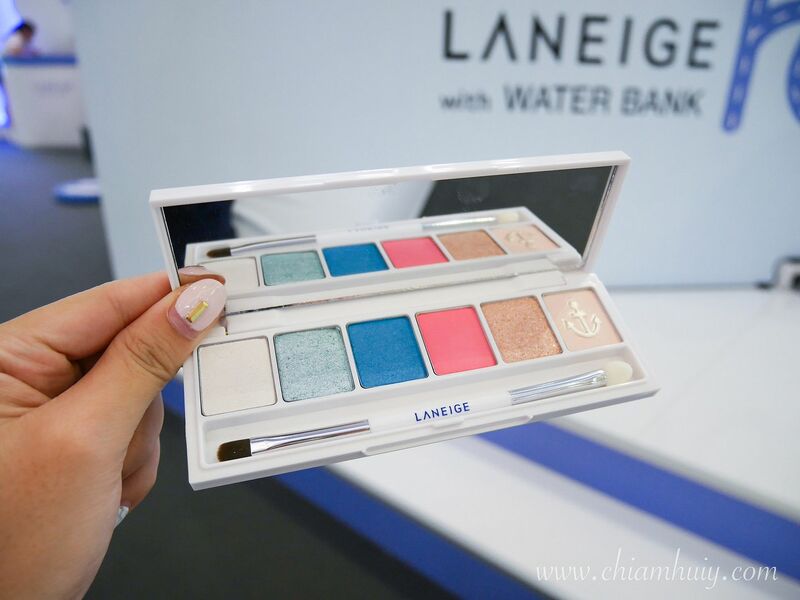 Get previewed to their Summer Makeup collection which I heard is already launched at Ion's outlet, and island-wide on Monday! 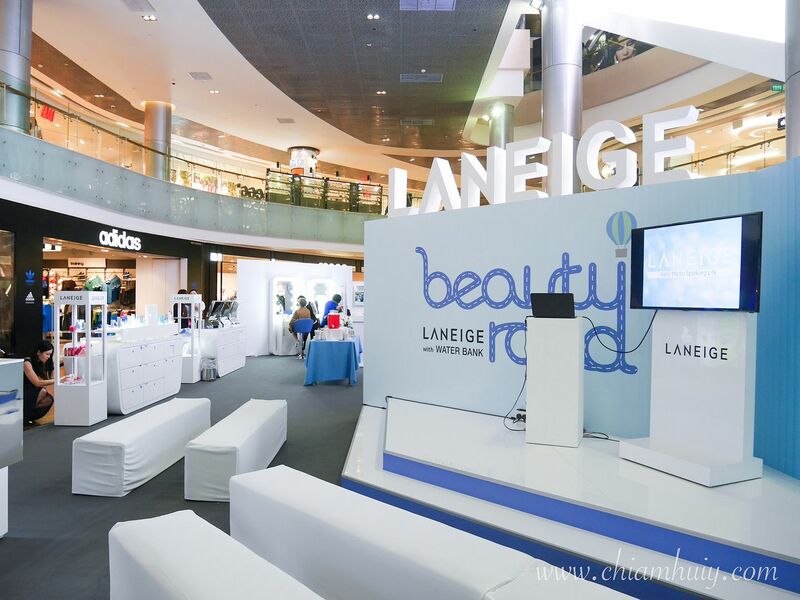 Make sure to catch the LANEIGE Beauty Road at Ion Orchard, Basement 4, from today till 19 May 2016.